Have you ever been invited to a party where you aren’t quite sure what you are being invited to? Parties attendees tend to go up with the fun-ness factor of the theme that the host or hostess chooses. Your race event is no different. No one likes to run around not knowing why. If you want to have a good race day participation rate, do something out of the ordinary, and create a fun and crazy theme to get people in the door! The best advertising you are going to have for your event is social media and word of mouth. Races that have a theme are way more “catchy”. There is a reason that the Tough Mudder is known around the world. Or, that the Rock ’n’ Roll Series has done so well. They have defined themselves as something outside the ordinary 5k, marathon, or ultra marathon. In the end, most people want to try something new. Give them something more than just pounding the pavement, and they will be pounding down your registration door! You wouldn’t guess it, but people like to get dressed up for marathons and races. If you have your event around Halloween, have participants dress up like the 20s or the 80s, and you will be surprised how many zoo-suites and big hair wearers will show up to run their costumes off. Not everyone wants a serious race. Some people just want to come and enjoy some activity and laughs! Running can get, well, boring. If you want to mix things up and attract a crowd that wants a bigger challenge than just running, set up an obstacle course where they have to take it up a notch. Having people go outside their athletic-comfort-zone is an excellent way to get people from all walks of life and athletic levels. Most people will come just for the fun of it. Think old school gymnasium or do it military boot camp style, they are equally attractive if you do it right. People love to run when things aren’t the status quo. Running under the moonlight, running in the mud, or even running in sand, are all things that not many people encounter when they go for their daily exercise. Some athletes are looking for more than just the beaten path. They want to have a memorable experience that transcends their every day. It isn’t just about getting the participants in the mood. The most successful race events are created to entertain the racers, the spectators, and their supporters. If you choose a holiday like St. Patrick's Day, Halloween, or Easter, you will be surprised at the turnout. No one wants not to have plans for the holidays. A race is a perfect plan to invite the whole family to come out, cheer, and have fun! 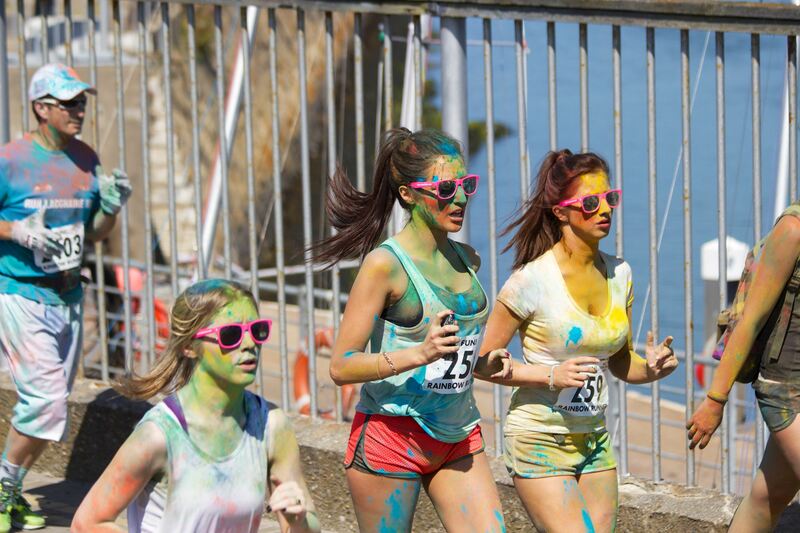 To enhance the theme, do things like an easter egg hunt 5k or the Elf Christmas Reindeer Dash. The more creative you get with your theme, the more engaged your audience will be. Charity races are notoriously popular with reason. Those who already want to feel good about themselves by beating their average time get a heightened sense of euphoria knowing that they are running to help someone or something. Choose a charity like pancreatic cancer and have purple t-shirts ready to go. Goodwill running is one of the best themes for everyone. They make money for a cause, people have fun, and your organization is successful. If you want to increase participation, the best way to do so is to make your event something that is like nothing else. People like to lose the serious every once in a while. You might not get the diehards to your race, or you just might. It all depends on the theme you choose and how well you up the ante by going overboard. Anything goes from sack races to costume changes. Whatever it is that you do, do it well, and entertain the crowd. If you want to increase participation for your race day event, nothing can help more than getting the word out by advertising through World Marathons. If you give people the opportunity to sign up ahead of time, commit, and lock themselves into a date, ahead of time, the more obligation they will feel to make your race day fantastic.